Louise Morgan is a Sydney-based artist from the hinterland of the Sunshine Coast, Queensland. Her practice is driven by an avid interest in ecology, predominantly dealing with the impacts of human activity on the environment. Connectedness, interdependence and consequence are the grounding themes in her work. 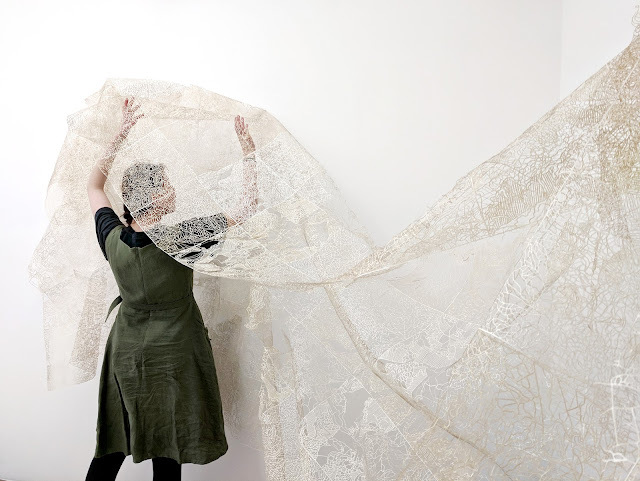 Referencing ecological literature, cartography, cultural history and a personal passion for the natural world, her practice takes form mostly through drawing and installation of paper-based works. Her works attempt to dissolve the cultural and physical boundaries that we impose upon the natural world by interpreting and confronting issues and cultivating commonalities between ourselves and other forms of life. Louise is a recent MFA (research) graduate from the National Art School. In 2015 her honours work 'Symptoms' was exhibited in the Perth Institute of Contemporary Arts' annual national graduate exhibition - 'Hatched'. Following on from that project, she was awarded the Mark Henry Cain Memorial Scholarship that saw her undertake a two month residency at the Glasgow School of Arts in 2016 as part of her postgraduate studies. In 2018 she presented her first solo exhibition 'TERRAFORMED' at 220 Creative Space Gallery in Sydney - the culmination of work from her MFA research into humans shaping the earth on a planetary scale.